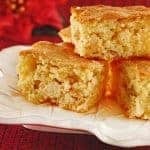 If you’re entertaining friends and family this holiday season, Chex has some quick and easy recipes to add a sweet touch to the menu! 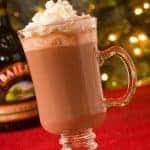 And, with just a few inexpensive supplies from your local party store, your guests can take away a festive little treat for later, too. This easy recipe for sweet Chex mix is a buttery tasting combination of caramel, butter and chocolate chips. In large microwavable bowl, mix cereals. 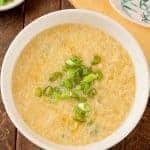 Microwave on High 3 to 4 minutes, stirring after each minute, until just beginning to brown. Spread on waxed paper to cool. For easy drizzling, spoon the melted chocolate into a small food-storage plastic bag. Snip off one tiny bottom corner and squeeze the chocolate over the cereal mixture. 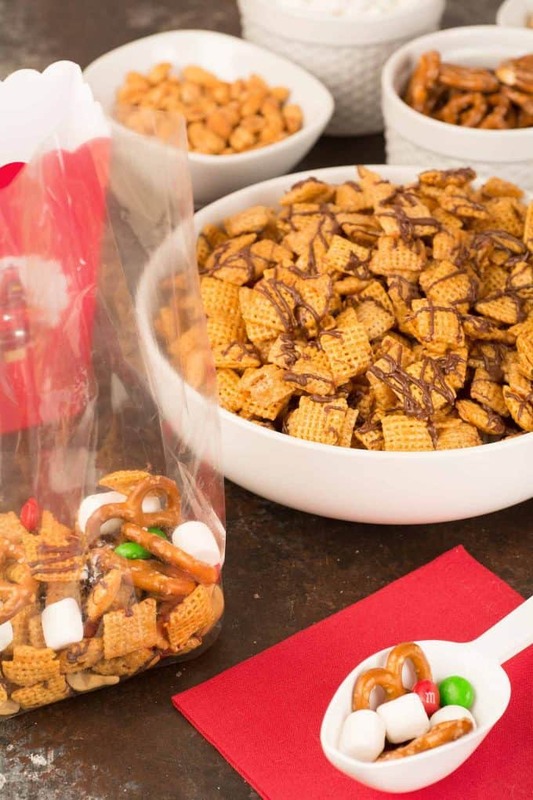 We thought it would be fun to make extra batches of Chex Caramel Chocolate Drizzles, offer a few mix-ins, and package up a sweet snack for everyone to take home from our little get-together. Setting out a variety of mix-ins is fun for adults and kids alike and a great way to let everyone “personalize” their take-home treat. 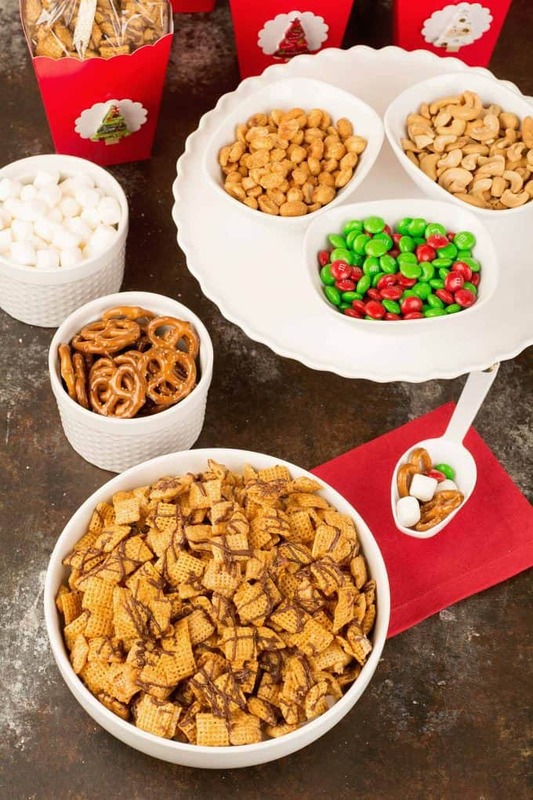 Easy choices include honey-roasted peanuts, salted cashews, mini pretzels, mini marshmallows and candy coated chocolate pieces in holiday colors. 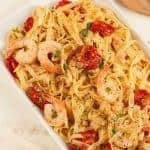 You can serve these in small bowls atop a cake stand to add a little style and conserve table space. It’s easy to offer your guests even more variety beyond the mix-ins. 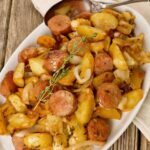 Chex has two more great recipes you can make using just a couple of additional ingredients. The first is one I’m sure you’ve seen, Chex Muddy Buddies (aka Puppy Food). 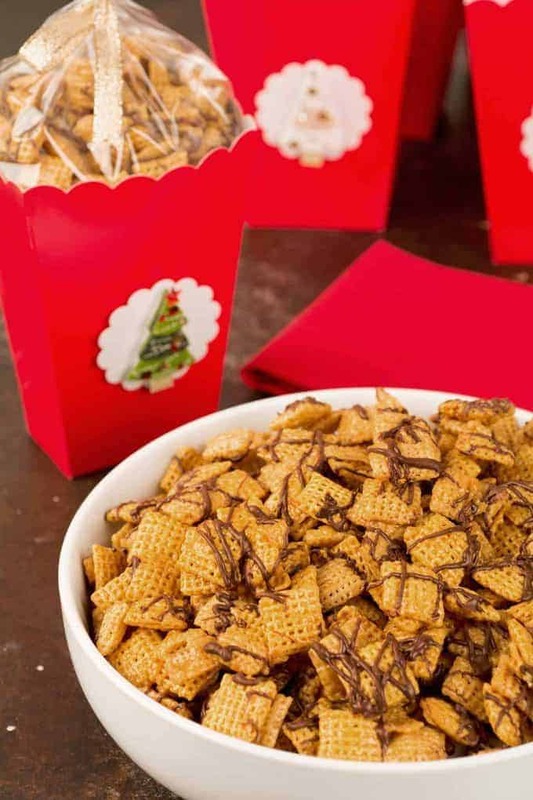 This delightful combo uses melted chocolate, peanut butter and a dusting of powdered sugar to coat your favorite variety of Chex cereal. 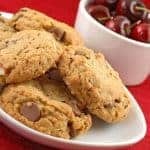 The second is Sugar Cookie Chex Mix, which combines melted white chocolate or vanilla baking chips, sugar and butter to make a frosty white coating for Rice Chex that you can decorate with colored sugar sprinkles or edible glitter in festive holiday hues. 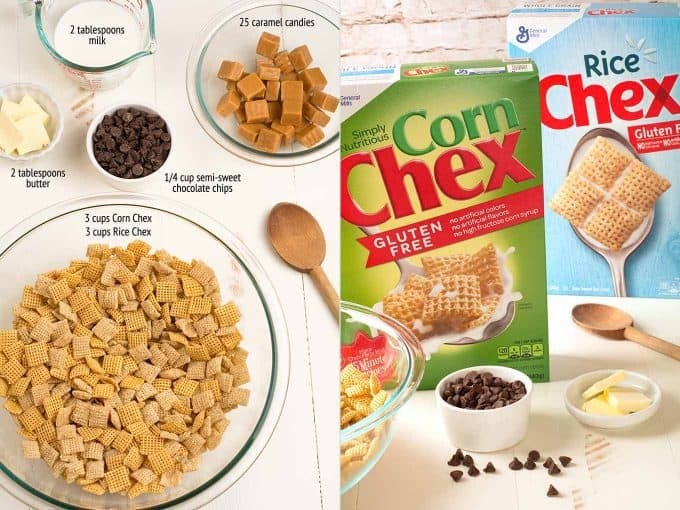 Note: All three Chex recipes are gluten-free and each one will work perfectly with the mix-ins we’ve suggested above. All you need to create these festive little treat boxes is a few minutes of your time and some inexpensive supplies from your local party and/or craft store. 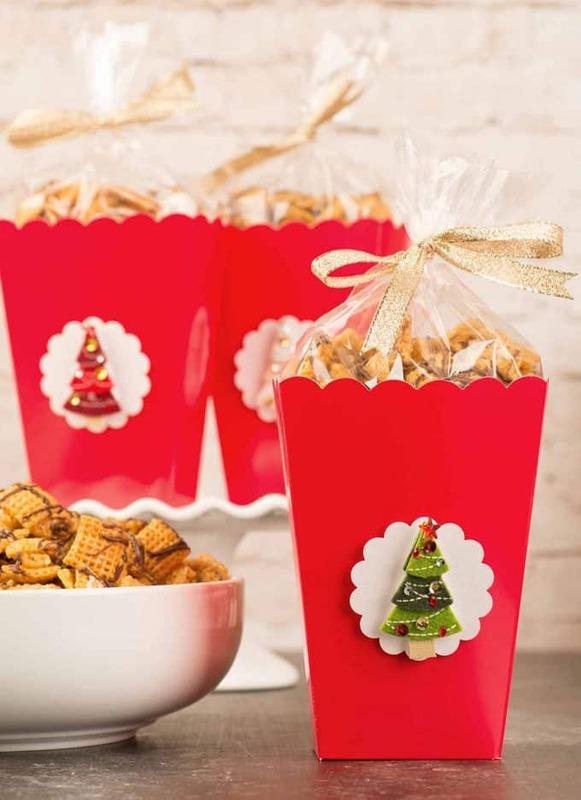 We used small popcorn boxes in a cheerful Christmas red and decorated them with cute holiday-themed stickers. 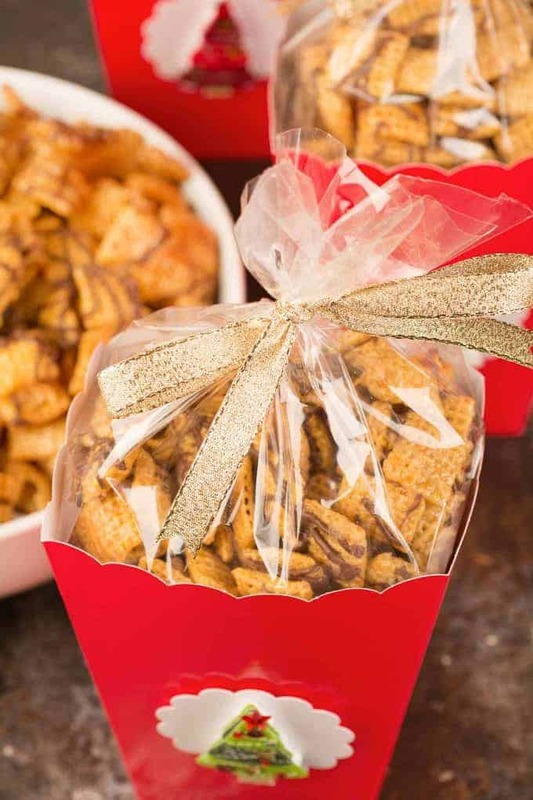 We then lined them with cellophane treat bags, filled them with our Chex Caramel Chocolate Drizzles and tied them up with a pretty gold metallic ribbon. 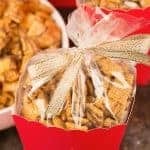 You can either make these little gifts up ahead of time or decorate the boxes and put them out empty along with bags and lengths of ribbon so your guests can add some mix-ins to the Chex Mix and create a customized take-home gift. You can take the concept one step further and leave some of the popcorn boxes undecorated for the kids. Set out a variety of stickers and let them have fun decorating their treat boxes, too. 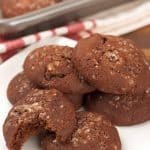 These easy-to-make holiday treats are a great idea to bring for a school party, or as a thoughtful gift for your co-workers, neighbors, mail carriers and anyone else on your list who deserves a little something special. The popcorn boxes we bought are a little over 5-inches tall, and once lined with a food-safe treat bag, each one holds about 2 cups of Chex Mix. If you want smaller portions, just eliminate the popcorn box and use smaller treat bags. They come in a wide assortment of sizes and you can even get them pre-decorated with holiday themes. Just add a pretty ribbon, and you’re good to go!